So, Snopes and various other there-is-no-Santa-Claus-dot-com sites are reporting that sharks are not actually swimming around people’s yards in New Jersey. For some reason, I find this awfully disappointing. I mean, I have a lot of friends on the East Coast and I would be very sad if one of them were actually, ya know, bitten by a shark in their yard. And the idea of dangerous water animals swimming up to one’s window does make the idea of a floodicane a bit more frightening. 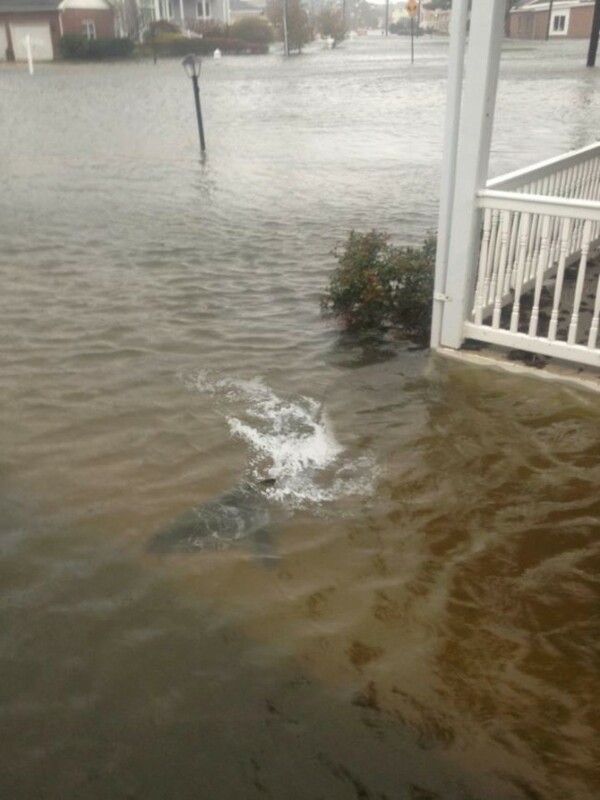 But something about sharks swimming in the front yard just struck me as really cool too. I do have a toy plush shark from the San Francisco Aquarium. Perhaps the availability of such toys is part of the advance psyops attack by the invisible shark army. It does make me feel very warmly towards sharks. Many of the real photos of Hurricane Sandy seem just as implausible as shark fins being sighted along suburban New Jersey streets. So that is Mother Nature for you.